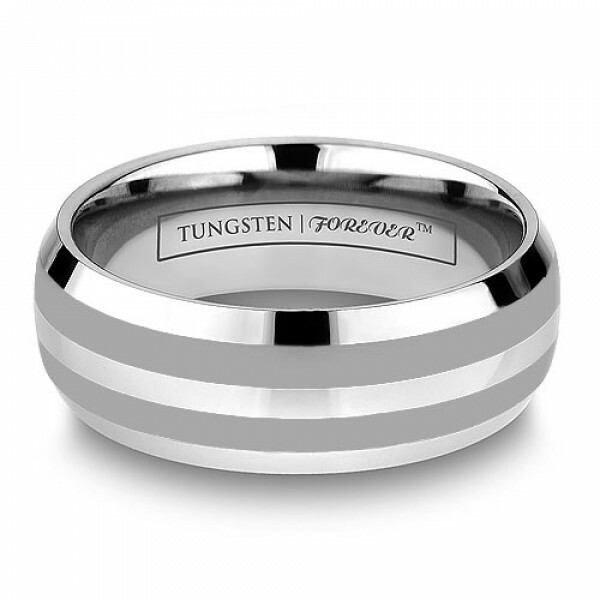 Alternating between the high sheen of polished tungsten and laser engraved striping, the PERSEUS elevates the traditional domed tungsten wedding band to a whole new level. Choose your choice of 4mm, 6mm or 8mm width. 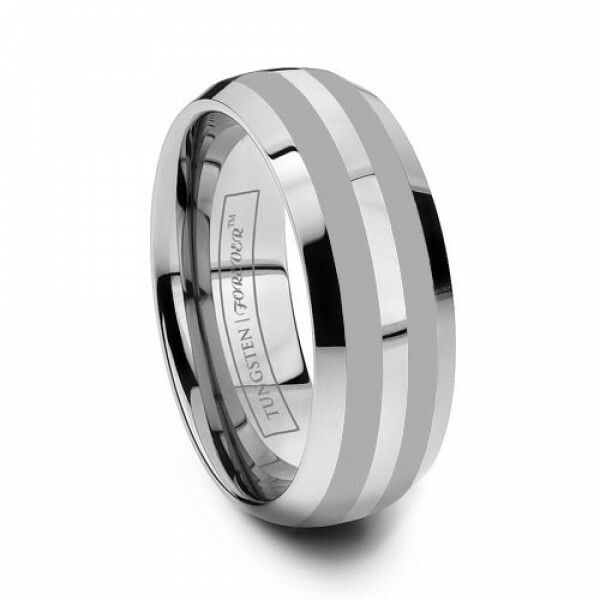 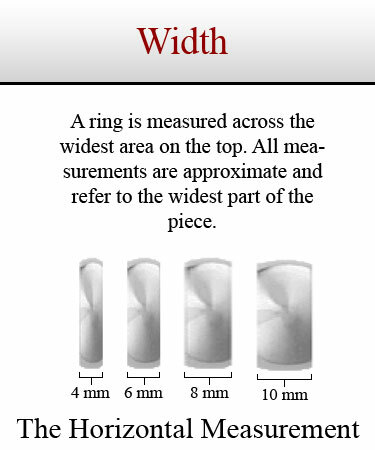 All our PERSEUS style rings are expertly engraved on site by our high-tech laser marking machine. 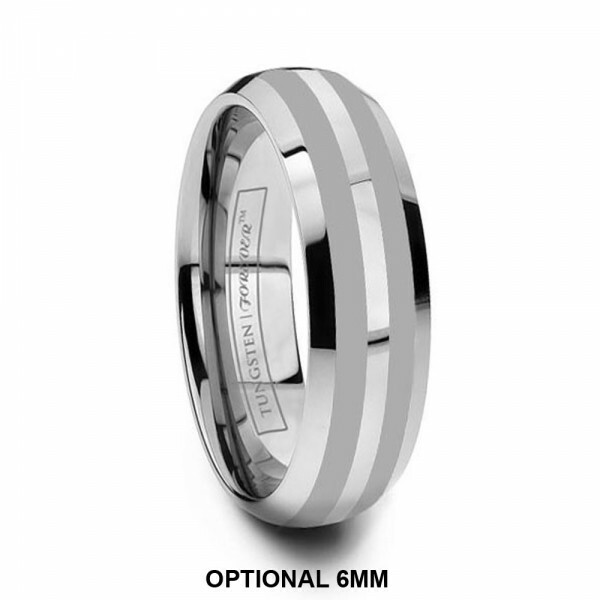 Lifetime Sizing, Lifetime Warranty, & Ships in 1 business day!